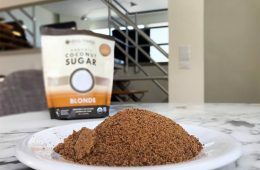 The phytoestrogen in flaxseed is touted for postmenopausal women. Maca is primarily for men due to its research about sperm, libido, and bodybuilding. Rarely is a superfood suggested for gender-specific benefits in both genders. But that’s exactly what you are seeing with this ancient seed. And guess what? The research might support both. The fenugreek plant is in the same family as beans, peas, and legumes (Fabaceae). Growing up to 2 feet in height, each of its pods produces 10 to 20 seeds. These have a mild nutty flavor which is a cross between celery and maple. They’re frequently used in the cuisine of India, North Africa, and Mediterranean countries. What the raw seeds look like. 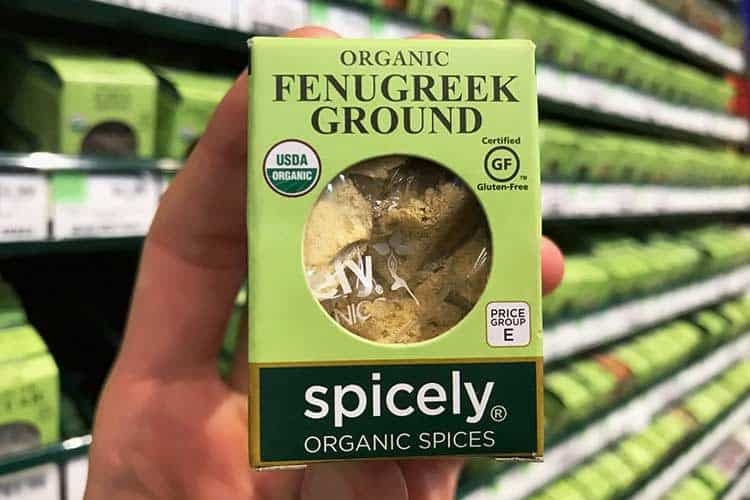 Where is fenugreek from? India is the largest exporter today. As to where the seeds come from originally, no one can say for sure but it’s believed to be the eastern Mediterranean, or possibly the Horn of Africa. As a food, archeological evidence suggests the seeds were eaten as far back as 4,000 BC in what is present day Iraq. In ancient Rome, it was said to be as common as hay. They used the stalks and leaves for feeding livestock. Back when the Egyptian pyramids were built, these seeds were used as food and when embalming mummies, as an incense. Domestication of Plants in the Old World covers its history in greater detail. The young leaves look a lot like clover. 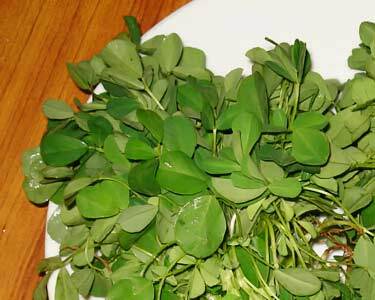 As an herb, the fresh fenugreek leaves taste surprisingly similar to the seed, albeit milder. Much like fennel, but with the aromatic qualities of maple. The leaves are often used in curries with potatoes. As a spice, these dried leaves retain their flavor. 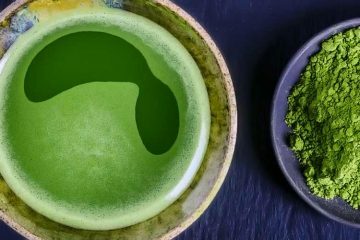 So much so that some describe the concentrated flavor as being like tangy green tea leaves with a maple aroma. 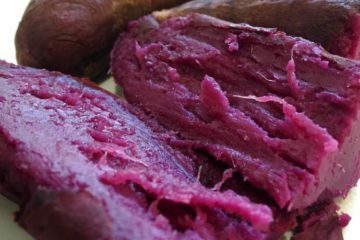 Since the raw seeds can taste bad, they are normally cooked. 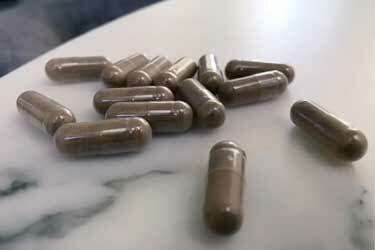 Supplements make use of the raw seed extract. There is also fenugreek essential oil but little research exists on it. Many of the advantages appear to be dependent on using the entire seed, either whole or ground. To be clear, many of the following are not proven uses. They are what fenugreek is being used for in traditional medicine and as purported herbal remedies. 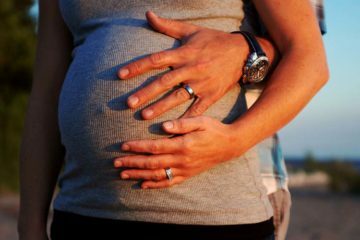 However for many things on this list, there is noteworthy scientific evidence to suggest they might be possible benefits – more research is needed to confirm. Out of the 50 men who participated, 90% of them experienced an increase in free testosterone of 46%. This study used fenugreek extract capsules, at dosage of 500mg once per day, taken after breakfast. This is probably the most widely claimed use. Most purported breastfeeding supplements to increase milk supply are using it as a main ingredient and sometimes, the only ingredient. Here’s what you will find inside a typical breast milk supplement (not the one used in the study). When other herbs are used, fennel and blessed thistle often make the cut. Using fennel instead may increase cancer risk. More on that below in the side effects section. Four different studies have looked at body weight and other aspects related to dieting, like appetite and total calorie consumption. These were all small studies – ranging from 12 to 39 participants in each – so not much can be extrapolated from them. Of course fat doesn’t make you fat, but because it’s over twice the caloric density of protein and carbs, it’s easy to eat too much fat and gain weight. 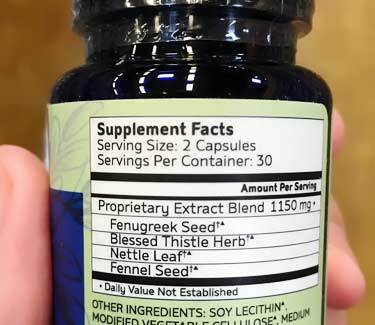 If you look at the fenugreek nutrition facts you will see that just 1 tablespoon offers you 10% of your daily value for fiber. Adding this as a healthy filler to your food is worth trying for weight loss. Another nutrition advantage is its iron content. That same one tablespoon provides 20% of your daily value. It’s only 5% for magnesium and 7% for manganese but remember, if you’re using it as a food you’re probably eating more than a spoonful. Preliminary evidence suggests that eating 2 to 5 grams of fenugreek seeds per day may help diabetics lower their blood sugar. There are over a dozen clinical studies related to this topic. That U.S. patent application cites a double-blind and placebo controlled study which can be found on PubMed.gov. A total of 25 type 2 diabetics participated. Type 1 diabetics are those who have the disease not from obesity or lifestyle, but rather permanent damage to their pancreas as a result of an autoimmune reaction. That may sound impressive, but you have to consider portion size. Since it’s primarily used as a spice or supplement, the weight you’re consuming per serving is quite small. Compare that to something like a kale salad, which may take up your entire plate and weigh far more than a couple of capsules. 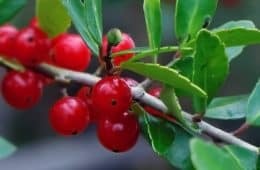 That’s why we only classify it as a “moderate” antioxidant. 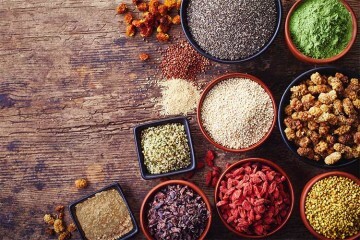 There are many spices which are 10x or even 50x higher. Amla powder is a staggering 125x higher. 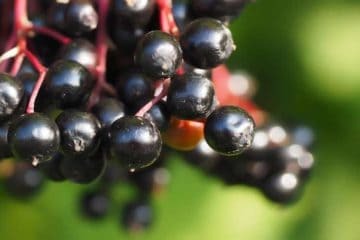 This plant is believed to benefit inflammation in multiple ways. Conclusion? The evidence is weak to back this as a real benefit, but at least the studies are not seeing a decrease in HDL, as that would be bad for you. 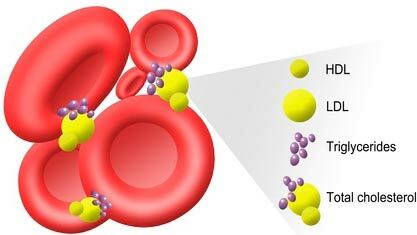 This is the bad kind of cholesterol. First and foremost, your only dietary sources of LDL will be animal-derived foods such as meats, dairy, and eggs. For that reason alone, a plant-based diet – which can include this seed – will reduce cholesterol levels over time if eaten in lieu of animal-based foods. 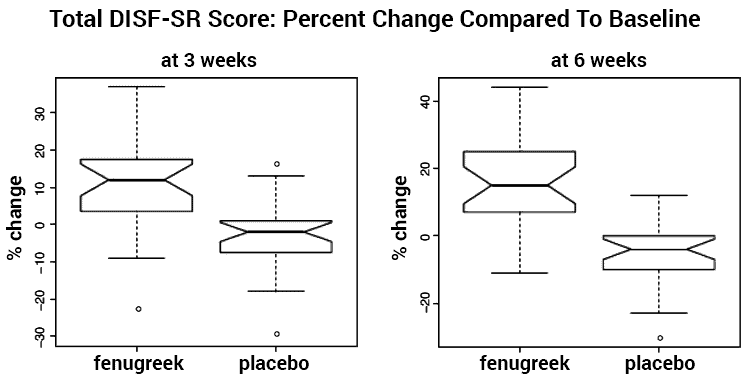 There is also evidence to suggest a dose of fenugreek for cholesterol might offer an additional lowering effect. The male testosterone study didn’t observe a decrease in LDL cholesterol, which might suggest that those who already have good cardiovascular markers won’t be affected. Although limited, there are studies that point to libido benefits for both men and women. The first study involved 60 healthy men between 25 and 52 years old. They did not have erectile dysfunction. In a randomized manner, each guy was given 600mg per day of a standardized fenugreek extract or a placebo. Can fenugreek increase breast size? 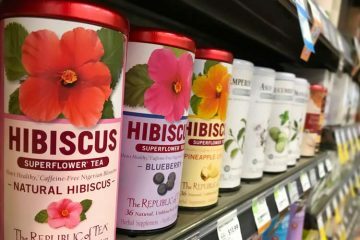 As an herbal remedy, this is one of the most common uses and if true, it might be related to the seeds’ effect on estrogen and prolactin levels. There are many testimonials and positive reviews by women who claim it makes their breast larger, but there’s no scientific validation of these claims. Even if it works, how much fenugreek for breast enlargement and whether it leads to permanent changes are unknowns. 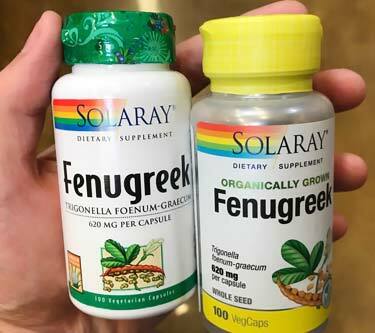 While there’s no proof of it working, if you look at many of the purported breast enlargement pills on the market, you will see fenugreek listed as a main ingredient. For example, it’s in Breast Max Plus and as part of a propriety blend, it’s in BustMaxx. 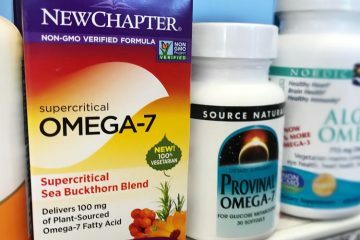 Both of these are relatively popular supplements, but again their enlargement claims are not clinically validated. There is evidence though to suggest the possibility that fenugreek increases estrogen and testosterone. The latter may sound detrimental to women, but both genders actually need these. It’s just about having them in the right ratios. 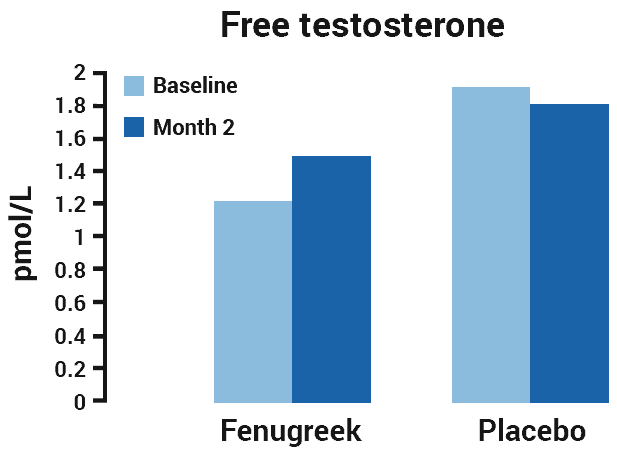 If both estrogen and free testosterone are increased in females at the same time, that’s might be good for you depending on where those levels were to begin with. 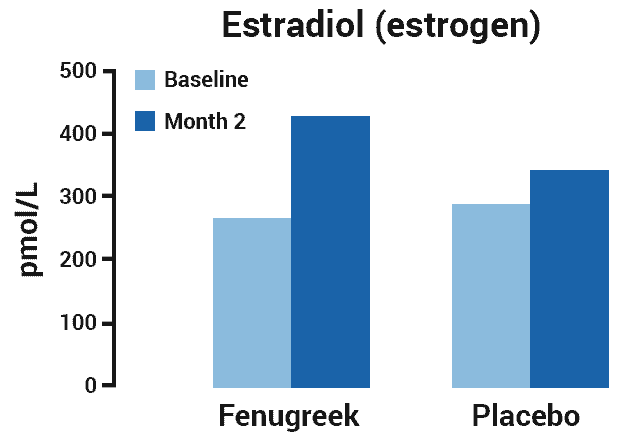 In the aforementioned libido study involving 80 menstruating women, here’s how their estradiol (estrogen) and free testosterone changed during the 2 month treatment period. Is fenugreek high in estrogen? Just like there isn’t clinical evidence for bolstering the bustline, you won’t find any about helping the hairline. That doesn’t change the fact that uses for hair are among the most popular purported remedies, among both women and men. Soak the seeds in a bowl of water for 24 hours. Using the strained water from that bowl, moisten the hair. Leave it on for 3 hours and then rinse. Repeat the hair mask daily for best results. Another variation involves fenugreek powder mixed with coconut oil, which is left on for up to 30 minutes before washing. Based on the science, should you expect hair growth results from recipes like these? 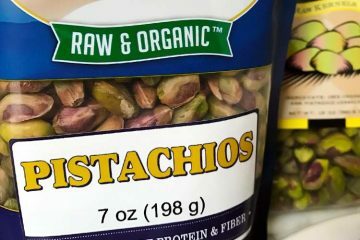 Being that the seeds are 23% protein, in theory the amino acids and moisturizing properties might help strengthen the follicles and improve their appearance, but only in a superficial sense. 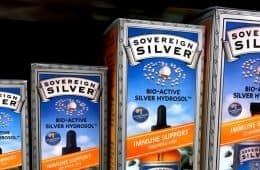 That would have no effect on hair loss from male pattern baldness or hormonal causes. 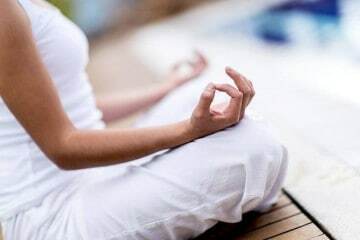 Benign ovarian cysts can cause a hormonal imbalance known as polycystic ovary syndrome (PCOS). Women with this condition often experience masculinizing side effects, like having facial hair, body hair, and hair loss on the scalp. But this is the only study that’s been done. If further research finds this to be a legit benefit, then that would mean it could help women experiencing hair loss due to polycystic ovary syndrome. Although rare, you can have a fenugreek allergy. Symptoms may be as simple as a rash or as severe as anaphylactic shock. Since it’s in the legume family (Fabaceae), you should consult a doctor before eating it if you have allergies to related plants such as peanuts and chickpeas due to possible cross-reactivity. It is gluten free, so it’s safe for Celiacs and those with gluten sensitivities to eat. Is fenugreek safe to take while breastfeeding? Considering that using it for boosting milk production is one of the most common purported benefits, it’s ironic that the safety of using it during that time is totally unknown! Can I use fennel instead of fenugreek? No that would be a terrible idea! While the risks of “Greek hay” are only theoretical, they are factual with fennel. You should not use it as a substitute for fenugreek because it contains the cancer-causing compound estragole, just like tarragon does. Drug interactions may occur with blood clotting medications such as warfarin (Coumadin), clopidogrel (Plavix), heparin, aspirin, and similar prescriptions. 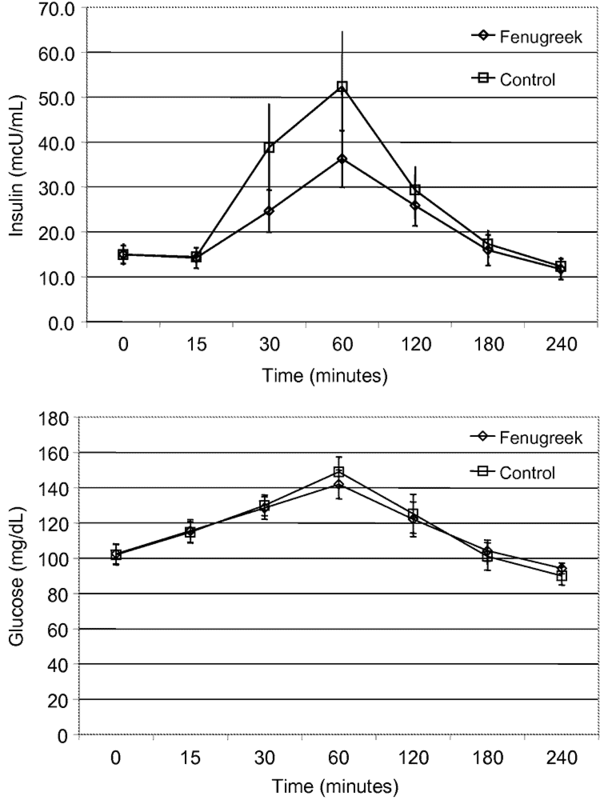 Diabetes treatments may also be affected, since fenugreek in combination with them may lower blood sugar too much. Does fenugreek cause weight gain? No. Although the seeds are used by women to gain weight in certain countries, that regimen involves mixing the seeds with oil (pure fat) to make them even more calorically dense. The calories in fenugreek are comparable and often even lower than other common seeds. 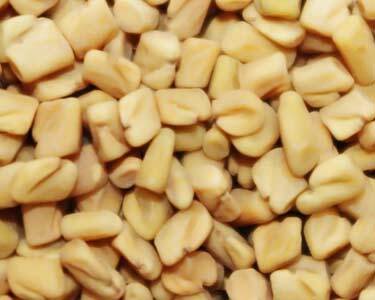 The calorie count in the healthiest nuts will be nearly twice the amount you will find in fenugreek. A fenugreek overdose has not been documented in published literature. For those with motility issues of the GI tract, it might be bad to eat too much fenugreek because of the high fiber content. Aside from that risk, as a food there are no unique side effects of eating large portions. At least in healthy individuals. With the exception of pregnant and nursing mothers, this food is very well tolerated. Allergies are rare and digestive discomfort isn’t any more or less likely versus similar foods. Not at your local supermarket! At one of the largest Whole Foods in Los Angeles, we could only find a tiny 1/2 ounce box of the ground spice for sale (pictured up top). It was expensive for such a small amount and a larger, more economical bottle wasn’t offered. Starwest Botanicals sells a huge 1 pound bag of organic fenugreek powder on Amazon for a bargain. As a dietary supplement, you can buy fenugreek at Walmart and CVS as capsules or pills. Those will be brands like Nature’s Way and Nature’s Own. 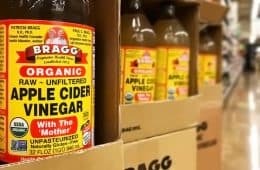 Neither is organic. 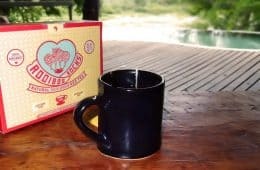 Want an organic tea? Try Alvita. 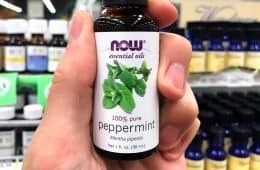 You can get the essential oil made by Edens Garden.